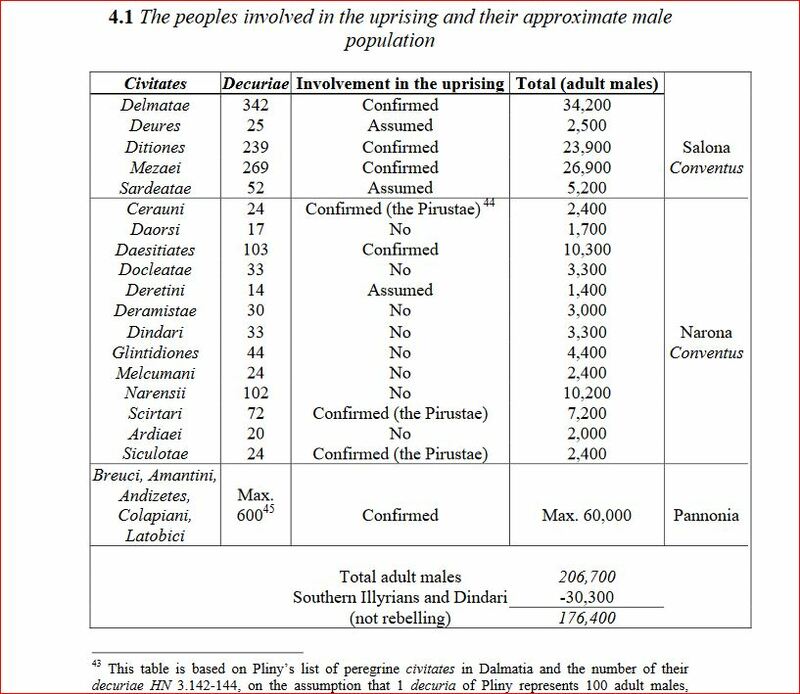 There was actually 4, Breucorum were an Illyrian tribe located in Dalmatia as well. There was Illyrian tribes living in what is modern Albania and Macedonia which is South of Montenegro which wouldn’t make the Ardiaei statement correct, though none of Southern Illyrian tribes were stationed at Britain. This is a misunderstanding Vettor, L117 is equivalent of saying M70 in the T branch, L117 is not a Danubian/Rhaetian marker, there may have been specific clades of E-V13 that were formed the ethnogensis of Rhaetians, I personally believe E-V13’s expansive ancestor lived somewhere near the Carpathian basin, it would easily explain its population spread to the Balkans and Central Europe. As for the actual Rhaetians they are believed to be related to the Etruscans a non IE population, so the original Rhaetians should not have carried any true European Y dna, but being their proximity to the areas of both Celtic and Italic ethnogensis it would make sense there was some of these markers. The big question could all these more Near Eastern branches found in the ancient Rhaetia be from a late Bronze Age migration or could it be from the auxiliary troops stationed there, because we have one cohort from Syria and another from Cappadocia. my query is that we know E-V13 is in majority in Kosovo and with this trend of Less illyrians as we move south as per the decuria........does it indicate that illyrians had very little E-V13 and so could not populate Britain with this marker or did E-V13 come to Britain via Roman-thracian troops ? Last edited by vettor; 12-12-2018 at 07:13 PM. Breuci lived in northern Bosnia and Croatian Slavonia, and not in Dalmatia. They were Pannonian tribe. My bad, that’s what I saw on the wiki list. Thanks for the map ph2ter, it would be nice to know see if we can get subclade details as well, to see which branches are prevalent in certain areas. Serbia seems to have a high amount of E-V13 as well and there is a hot spot around Bosnia and it trickles into Croatia, this is actually a nice validation of E-V13 being prevalent amongst the historical Illyrians. Ancient Moesia was also multi ethnic between Illyrians and Daco-Thracians, so NGS testing from Serbia will be very insightful. Last edited by Principe; 12-12-2018 at 10:47 PM.